Eu recentemente redesenhei o crocodilinho do banner aqui do blog e como estou aos poucos tentando entender mais sobre cor, resolvi jogar uns tons no bichinho. Abaixo tem o processo do rough, seguido do cleanup, e por fim cor. Meu processo de cor é tão básico que não requer maiores explicações, trabalhei com tons sepia e brushes que imitam mídia seca no Photoshop. Por sinal estou planejando dar mais atividade ao Blog, tenho idéia de fazer em breve um post que não é um jacaré =) e continuar postando com intervalos bem menores (mesmo!!!) que um ano! Obrigado por visitar! 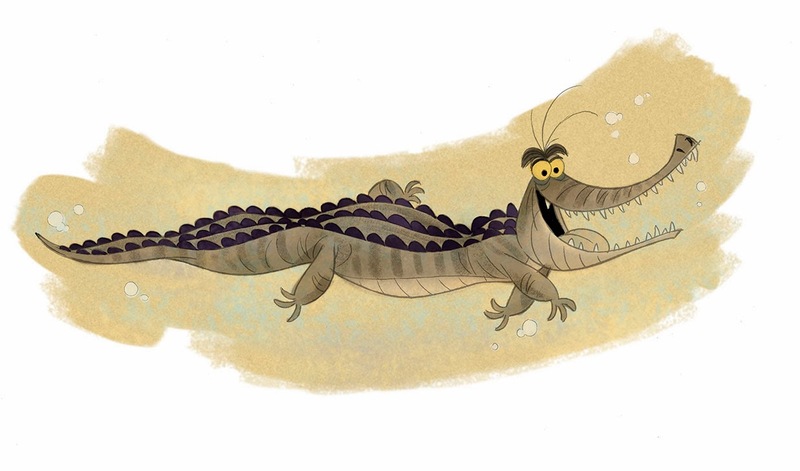 I recently redesigned the little crocodile for the Blog's banner. As I'm willing to gradually understand more about color, I decided to put some tones down. I also added a few steps of the drawing process, rough, cleanup and color. My color procedure is so basic, id doesn't require thorough explanations, I just used sepia colors and Photoshop brushes that emulates dry media. 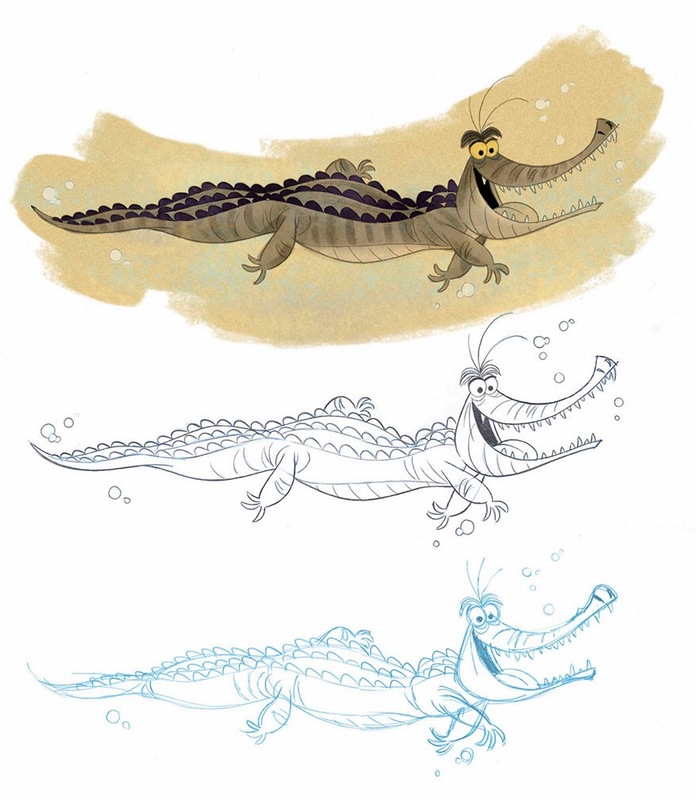 By the way, I'm planning on giving a bit more life to the Blog, soon enough there will be a new post that is not a crocodile =) and hopefully more posts following with intervals that are shorter (much shorter!!!) than a year! Thanks for checking out! Hey Thanks for your comments Pierre! I will definately post stuff more often! Zôo de são Paulo? Se for da um toque. Pois sem trocadilhos, moro na esquina do zoológico. Sim Zoo de São Paulo, em breve farei uma nova visita, vou avisar! Hi Amir, Thanks a lot for your comment!, I love Ward Kimbal and I consider his work a great axample of bending the rules of reality towards creativity.